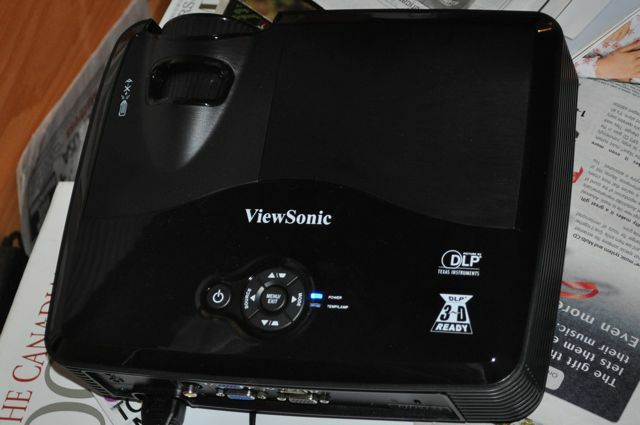 One of the parents from the class I am teaching helped buy this projector for us to use in class. 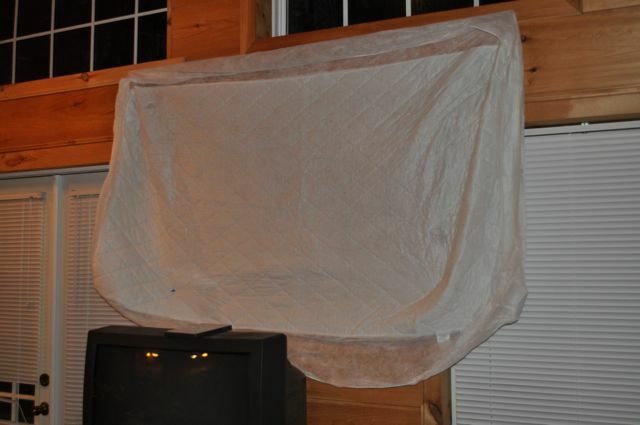 That combined with this sheet will make movie night. Granted, the quality is not as good as one of those $2000 projectors that are made for home theaters, but I was pleasantly surprised at how good the picture is. So we have rented a movie from Amazon and are about to see how it goes. On a completely unrelated note, this fellow was sitting in the field down by the mailboxes the other day. This entry was posted in Family, Technology, Wildlife. Bookmark the permalink. Sound: that is our trouble. If this is going to be a regular occurrence, we are going to need some better sound. The speakers on the laptop are not loud enough. The speakers on the projector also lack a little something. So we will think of another option, but we enjoyed the fun experiment. The quality of you picture might improve if you used a flat sheet instead of a fitted one. That would require us having a white flat sheet! Also, if you notice, it was a padded fitted sheet. Made for a few interesting effects, but for the most part you couldn’t tell. Oh well. 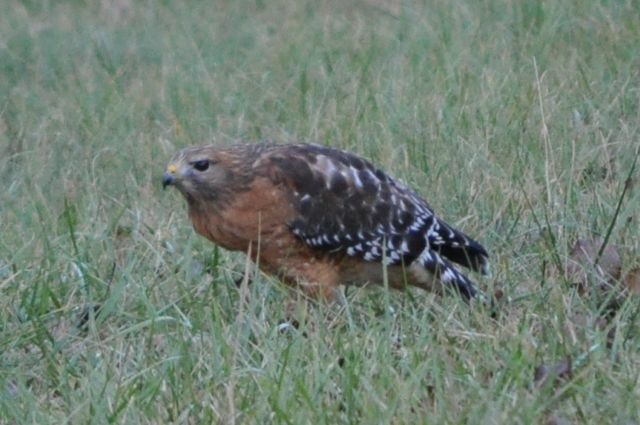 Is that a red hawk? He is beautiful, but looks a little cold & hungry! Loved the phone visit today! hope the youth dinner was fun tonight! LOVE YOU ALL!